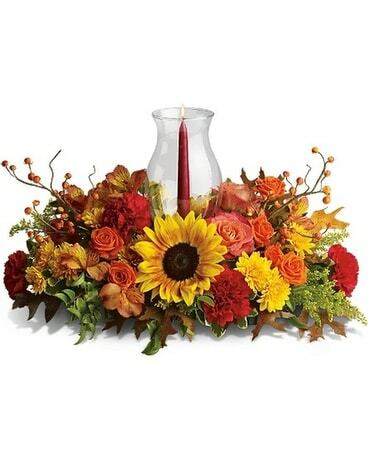 A classic hurricane lamp glowing warmly, shedding its soft light on a lush arrangement of autumn's most gorgeous flowers - what a feast for the eyes. And the soul. A spectacular centerpiece!